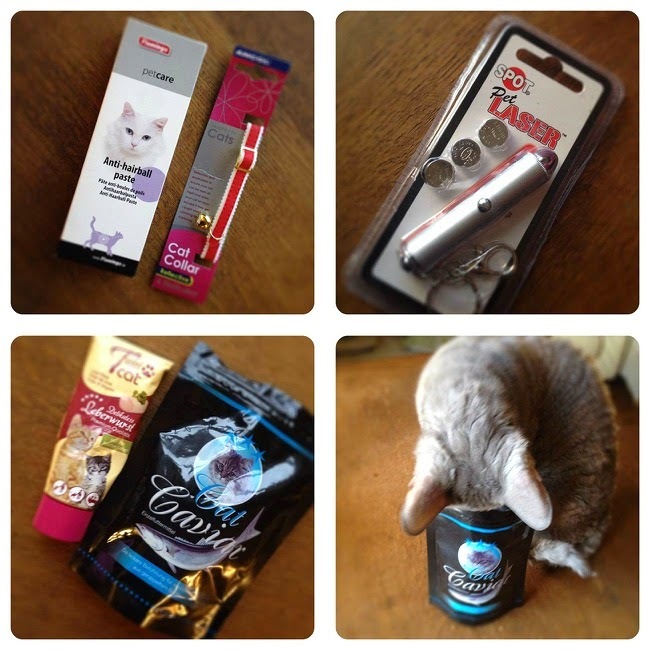 I'm a sucker for a subscription box so when I was approached by Purrfectbox I jumped at the chance to review their monthly goodie box that's just for cats. Cornish Rex aren't your average run of the mill cats, in looks or in temperament. With large alien like ears, a short, curly, satin-like coat and a long, slender body, they are the supermodels of the cat world with an attitude to match. Vocal, demanding and into everything, they can open doors and drawers and melt your heart with their eyes. Just like their regular cat cousins, cornies are easily entertained with access to an empty box. Fill the box with goodies chosen just for them and their nesting instinct kicks in before you have the opportunity to photography the contents. After a small sample of the liver paté and cat caviar it was #LaserCat time. What can I say? Cats and laser pens were born to compliment each other. The usually reserved Cheryl wasn't impressed with her inability close the catch and Aggy jumped and flipped until she flopped to the floor in total submission making the Laser Pen a huge hit all-round. Content that they were both completely worn out, the edible items were securely stashed behind a closed door. Fast forward to the next morning and there was a crime scene waiting. 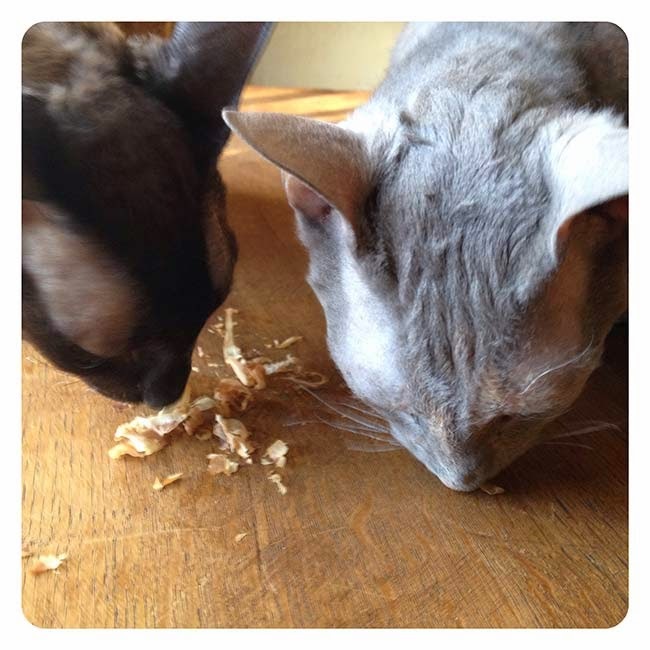 Overtaken by the lure or the paté and caviar on the other side of the firmly closed door they'd slipped into cat burglar mode and destroyed the lot, packaging and all. A total all round corny hit then! A month by month subscription to Purrfectbox costs £19.90 a month. Subscribe for a year and pay just £15.90 a month. Each box contains 5-6 healthy treats and toys, handpicked to suit your cats profile and each month has a dedicated theme. 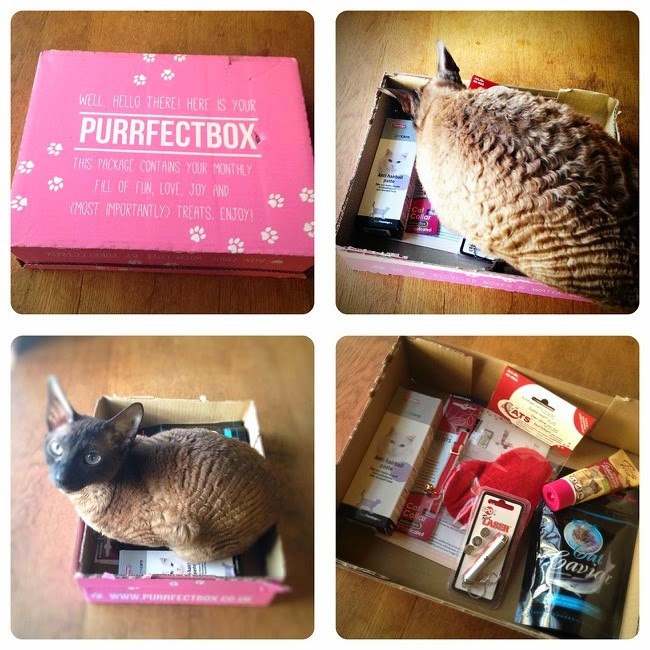 If you're a cat lover then you really should give Purrfectbox a go - your cats will love you for it! Check out their website. I have 5 boxes to giveaway courtesy of the lovely people at Purrfectbox and Pawsomebox. Simply enter using the Woodbox widget below. The giveaway closes at midnight on 23/03/15. Winners will be contacted by Purrfectbox. Disclosure : We were sent a Purrfectbox to review, all opinions are those of my cats.